Ground was covered by frost last week. 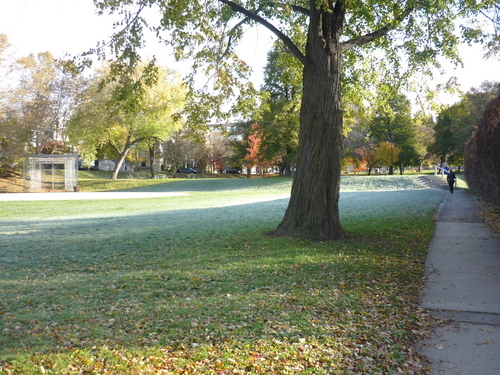 It's frost that ground looks little white. Can you tell that? I was living in close to Nagoya. 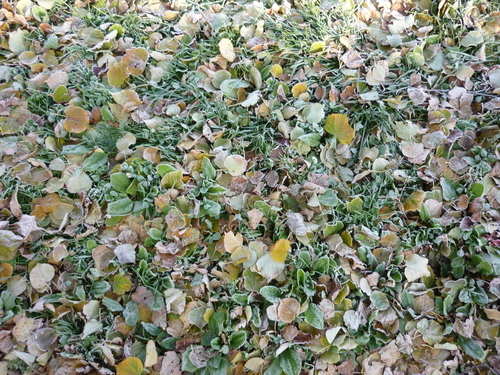 We can see rarely frost like that. By the way, I moved up level last week, so my level is Advanced now. New class is very tough. Everyone get it easily. The teacher speaks very fast. Maybe I'm the worst student in the class. I'm going to catch up with them. Many Japanese have the same problem though, we scared of mistake. We always try to be perfect. I played tennis today, and then my ball went out outside the court. A man was walking there, I sould have said " Could you get me that ball ? " I was scared to say because it might not be correct English. It was good chance to speak English though.